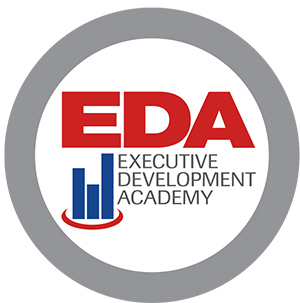 PMA will proudly host the first annual Executive Development Academy (EDA), to support industry leaders as they strive to build, lead and sustain innovative organizations. During this two-day boot camp, scheduled for January 7-9, 2015, in Tampa, FL, manufacturing executives will be able to refresh and hone their skills while getting briefed on the latest technologies and trends impacting their businesses. • Generational issues and how to solve them—Strategies and tips to help executives avoid generational collisions and implement strategies for recruiting and retaining millennials. • Successful negotiation of business contracts (terms and conditions)—Thirty ideas in 75 minutes to help executives stay on top of critical issues related to terms and conditions. • Mexico, China and beyond—Challenges and strategies for exploring and executing the globalization of your business. • Executive communications—Media tips, power presenting, small-group dynamics and tips for running productive and efficient meetings. • Business succession/transition planning—Experts in succession/transition planning will outline key strategies and provide a case study to help frame primary concerns. Other sessions and presentations will address leadership excellence, strategic planning, social media, content marketing and the latest political, economic and technological trends that will dominate your business. View the event webpage at www.pma.org/eda for more information.